The local crime boss tells a lengthy parable about the difference between a hillbilly and a redneck; the upshot being that the hillbilly is craftier and more bound to a set of principles than a redneck. I first encountered the phrase “hillbilly gothic” on a library website, of all places, one of those “if you liked X you might like Y” guides. At first I was amazed that the term existed; then I was amazed at the number of novels the library had found to fill the category. Upon reflection, I shouldn’t have been. The Ozarks have been fixed in the popular imagination as an alternately quaint and horrifying landscape ever since The Shepherd of the Hills, the 1907 novel that landed author Harold Bell Wright in history as the first American writer to sell a million copies of a novel. Now little remembered, The Shepherd of the Hills incorporated madness, feigned suicide, oaths of vengeance, and vigilante violence into an Ozark landscape described as beneficent and soul-restoring -- a curious notion given the amount of mayhem and attempted mayhem that takes place there. 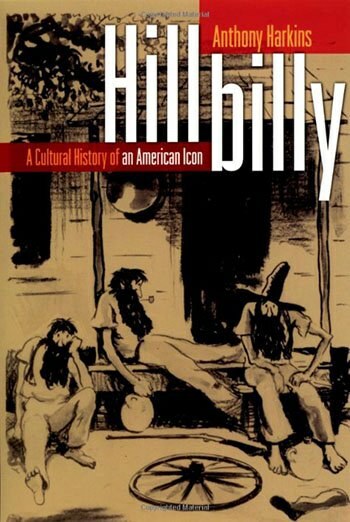 Thus begin the alternating -- or simultaneous -- portrayals of the hillbilly as rugged individualist and violent degenerate, as detailed admirably in Anthony Harkins’ Hillbilly: A Cultural History of an American Icon. Harkins’ book discusses both the Appalachian and Ozark versions of this stereotype, and in general the Appalachian comes across as more dangerous, drawing on the many representation of the Hatfield-McCoy tale, while the Ozarker appears more benign (think Ma and Pa Kettle and the Beverly Hillbillies). Until recently. The past decade has seen an upsurge in portrayals of Ozarkers as brutal and inbred to a garish degree. A 1995 episode of The X-Files, entitled “Our Town” with delicious irony, depicted a fictional Arkansas town as a hotbed of brain-eating cannibals. The 2009 low-budget horror movie Albino Farm followed standard horror tropes: four college students conducting research for a school project stumble upon a Small Town with a Secret, and the secret is a doozy: an entire community of inbred, deformed people who terrorize and murder the students. Filmed in Marionville, Missouri, the movie ratchets up the violent hillbilly stereotype to absurd levels, but follows the familiar “don’t go in the woods” storyline of sexual violence, madness, and horrific murder. Even a work with the literary pedigree of Winter’s Bone is not entirely without gothic elements. Ree Dolly, who is identified as being 17 years old in the story, must battle an array of adversaries headed by her terrifying kinsman Thump Milton and his clan of meth-cookers. Although the setting in both book and film is portrayed realistically, with psychological insight and accurate description of the landscape, the criminal clannishness and gruesome violence, which culminates when Ree, needing to prove to the authorities that her father has been killed (in order to prevent the forfeiture of his bond and loss of her farm), must lift his corpse from its underwater hiding place while some of Thump’s clan-women cut off his hands with a chainsaw. The act provides her with the necessary evidence of his death but resonates with the pop-culture picture of the Ozarks as an ingrown, primitively violent region. As a native of the Ozarks I’ve grown accustomed to having people hum the “Dueling Banjos” theme when they hear where I’m from. I don’t even bother to remind them that Deliverance takes place in the Appalachians, not the Ozarks, since that seems like quibbling over something that is ultimately not the point. So with that cultural background and framework of experience, I watched the trailer for the Netflix series Ozark with apprehension. Would it be another garish Ozark horrorshow with toothless killers, cackling grannies, and a landscape of madness and terror? Or might it portray the Ozarks, and Ozarkers, with some variation and nuance, even given the boundaries of the crime thriller genre? Some of both, as it turns out. There are indeed conflicted and original characters in Ozark, although the originality is of the “with a twist” variety: one of the dumb hillbilly brothers is a closeted gay man! The lemonade-fetching wife is a skilled killer! It’s not deep-diving originality, but one appreciates the effort regardless. But in essence, all the familiar hillbilly tropes are present: a thieving, Snopesian family with a murderous paterfamilias, an even more murderous family that poses a greater but as-yet-uncertain threat, corrupt law enforcement, and an underlying sense of buried rural secrets that will surface to haunt all. Balanced against these familiar elements are a female resort owner who is intelligent, lusty but not perverse, and resiliently principled; members of the hillbilly family who are intelligent, even bookish, and morally conflicted; and a storyline in which the city folks who venture into the region are not immediately placed at odds with the locals, but are accepted and resisted in widely varying degrees. 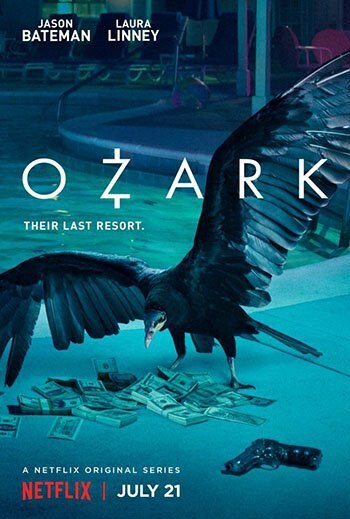 A few scenes of Ozark were actually shot in the Ozarks, with most of the production taking place in Georgia for tax reasons. The casual viewer would likely not notice anything amiss in the location change, but Ozarkers would. The characters’ accents are southeastern (think Tennessee or Georgia). Two characters take a morning fly-fishing trip, when the Lake of the Ozarks has no trout streams within 50 miles, and that one is on a different river. Most notably, the lake is portrayed as it was a generation ago, not as it is today. In the '70s and before, the Lake of the Ozarks was dominated by a couple of large resorts, with long stretches of mom-and-pop motels, tourist trap attractions, and hillbilly-themed entertainment, much as we see in the series. Today, however, the lake is a corporatized paradise of condo complexes and outlet malls. The family of hillfolk that figures so prominently in Ozark, in their compound of single-wides, would have been bought out long ago by a real estate investment trust. The character of Jacob Snell (Peter Mullen), the local crime boss, reveals the strengths and limitations of Ozark. In an odd monologue in an early episode, Jacob tells a lengthy parable about the difference between a hillbilly and a redneck, with the upshot of the story being that the hillbilly is craftier and more bound to a set of principles than a redneck. This ostensible distinction leads to a killing in a later episode. In fact, the term “hillbilly” has long been contentious in the Ozarks, with most Ozarkers interpreting it as a slur, while some have adopted the practice of defusing it by embrace. But distinguishing between a hillbilly and a redneck in such a specific and intense way is an unrealistic invention. While “redneck” does indeed connote a type of aggressive stupidity missing from “hillbilly”, the two terms are both negative. “Hillbilly” has largely fallen out of use except among those who have a stake in the word; “redneck” remains a more common word describing backward rural folk. On the other hand, Jacob and his wife Darlene are portrayed as having an abiding resistance toward the lake itself because their families were bottomland farmers whose acreage was flooded by its creation; their forced relocation to high ground embittered and criminalized them. A non-Ozarker might find such motivation unlikely. But the Ozarks countryside is a location where the forced relocation of unwilling populations has been a recurrent event. The creation of the military bases at Fort Leonard Wood and Camp Crowder, and the building of many recreational/flood control lakes (the Lake of the Ozarks, Table Rock, Taneycomo, Clearwater, Wappapello, and Truman lakes in Missouri alone, and a comparable number in Arkansas) all required the relocation of families, and sometimes entire towns, leaving psychic scars that have lasted for generations. So the Snells’ extreme reaction to threats on their land, especially flooding on their land, would resonate with Ozarkers. In sum, Ozark resists the worst of the easy Ozark portrayals that have cast the region as a hillbilly horror haven through the years, but ultimately traffics in them as well. It does not recuperate the Ozarks from that stereotyped image, but perhaps such a task is too much to ask of a television series that is, in the end, a crime/thriller drama. 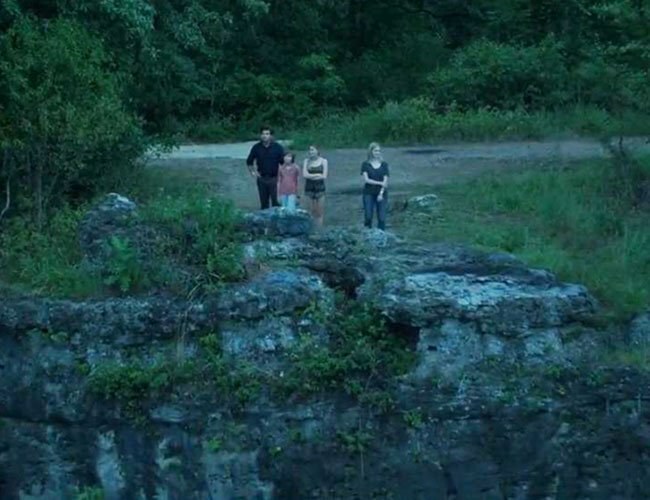 Ozark’s use of the Ozarks as an exotic, largely imaginary setting rather than an essential and richly peopled landscape missed an opportunity; but there’s always Season 2. Steve Wiegenstein is the author of three novels set in the Missouri Ozarks. His most recent is The Language of Trees, published in September by Blank Slate Press.